Home » STOP Negative Thinking! It is the human condition for us to think negative thoughts, and the strangest thing is that we often don’t know where we got the negative thinking from. It affects our work, social and personal lives, and there is only one way to deal with this – be aware of negative thoughts. Awareness is the way in which we change the negative into the positive. It is possible to take an inventory of family history to break the chain of negative thought. This exercise is not about blame, as the blame game is negative too. It is about learning to break the chain, and shift to a positive position. Mindfulness techniques such as visualization, affirmations, and mind-body connection are useful, as is meditation, and very many other techniques. It is a well- known fact that the less you respond to negativity, the more peaceful your life becomes. The majority of human minds harbour negative thoughts. These thoughts make excuses for us – for example – if I were to just walk up to someone and say “let’s go climb Mount Everest”. They would far more quickly come up with fifty negative reasons why they could not. In theory there are also fifty positive reasons why they could. It is just that the negative is easier to believe. Negative thoughts should be ignored, and the positive thoughts (like let’s go climb Everest), embraced. If it is so easy for the negative to become a self-fulfilling prophecy, why shouldn’t it be easy for the positive to become so too? The mind likes to say what can’t be done, and therefore needs to be trained into believing what can be done. Regular excuses include “they are better than me”. For the person caught up in a negative thrall this is easy to believe, because they put people on pedestals. But the positive person – they put themselves on the pedestal. Every human being has the same ability to achieve the kind of life they want for themselves. Positivity teaches us this. Life may not be fair, but a positive attitude can determine what you are capable of, and the kind of person you turn out to be. There is no such word as can’t, if there is a “can” in the word then you can. 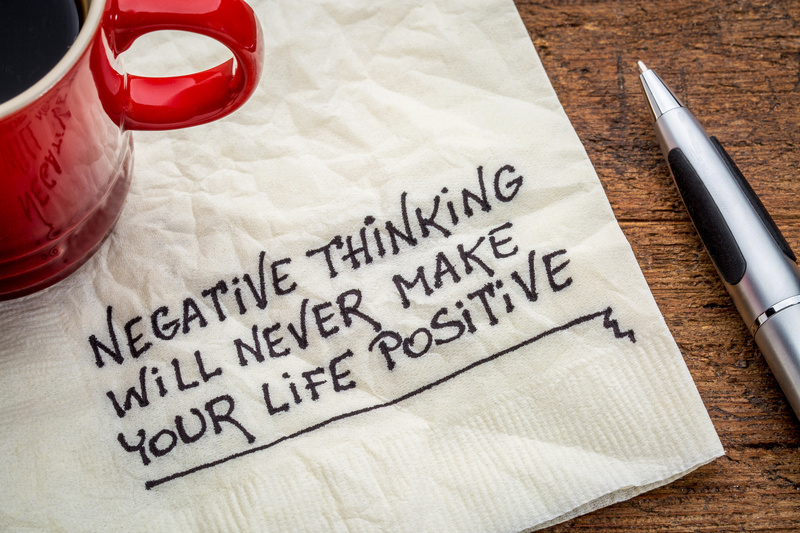 You can change your thoughts from negative into positive. You can learn new vocabulary of empowerment, and only then you will see your life change all around you. If you are realistic about what you can do, then there is nothing, and no-one that can prevent you from being capable of anything. Despite the fact that negativity comes from ourselves, and we sometimes believe it. This way of thinking has no purpose but to destroy. It is a bad habit that can be adopted from others, and it does take a little more guts to remain positive when set-backs occur. But why is this so? Negativity is a sort of insurance policy that allows people to have plausible deniability. If they have poor expectations, then if something goes wrong they can’t be disappointed. Negative thinkers also suffer from –“I told you so” syndrome. That way when something goes bad, they can be in the right. Positive thinkers have no expectations, and no desire to tell anyone “- I told you so, and therefore are never let down by any outcome or have a need to be in the right. This is a very good space to be. It is peaceful, and makes every effort we take to move from the negative to positive, very worthwhile.